Drivers have so many options to choose from when they're shopping for cars. Whether they're mulling different automakers, models, colors or engine types, motorists certainly have their work cut out for them. But for some, the search is narrowed simply by sticking with used cars. 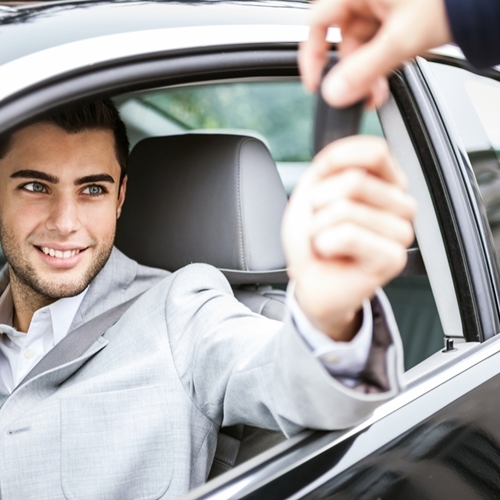 These budget-friendly options generally offer safe, reliable rides for a wide variety of drivers, all the while providing access to affordable monthly payments and auto loans. It doesn't take a rocket scientist to figure out why used cars are so attractive to drivers. Not only are the sticker prices of these vehicles lower than their brand new counterparts, but there are many opportunities to save on the average depreciation of automobiles. By investing in a lightly used model, drivers can avoid much of the hit to the value of cars that occurs in the first year of ownership without sacrificing quality. To help in this endeavor, iSeeCars.com compiled a list of the best used cars to buy. You can find a used car you love – at the right price, of course. 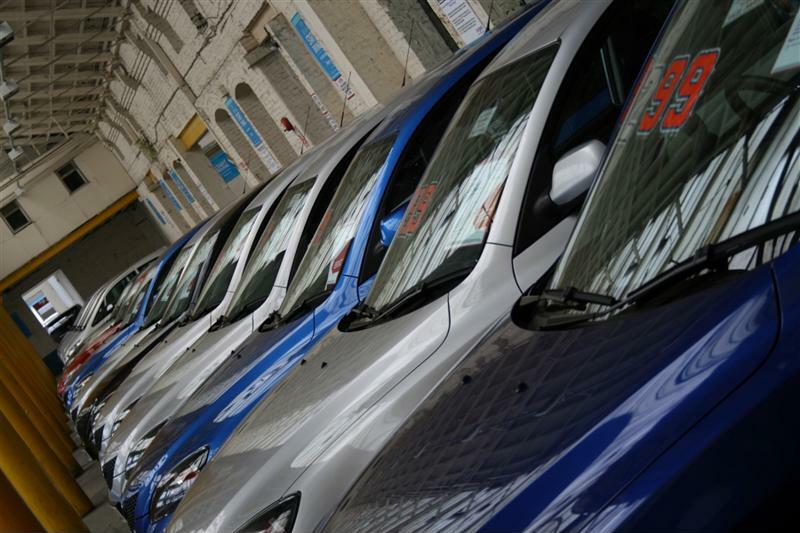 "Everybody knows that new cars depreciate the most in the first year and that different cars have different depreciation rates, but we wanted to see which used cars experienced the largest price drops compared to their new models," said Phong Ly, iSeeCars.com CEO. It's important to note that the ideal investment for drivers will vary. If you're not sure what type of car is the best fit for you, take your search to New Jersey State Auto. There you can browse through a wide selection of Carfax-certified used cars, trucks and vans to find an option you love. "Auto industry developments can lead to great deals." Auto industry developments can lead to great deals. Overhauls and redesigns drive up the cost of new models and decrease that of recent cars, making these lightly used cars a great value. That's not the only cause, however, so drivers should pay attention to what's going on in the industry to try to locate the best value deals. "There are numerous reasons for the wide range of differences, but the most prominent factors that increase the price difference between a car's new and lightly used models are lower popularity compared to its competitors, a brand with reported dependability issues or expensive repairs, or having just undergone a redesign," Ly explained. Motorists can also keep an eye on used car websites to monitor the models at a specific lot. At NJ State Auto, for example, you can sift through used cars under $10,000 – or your specific price point – and try to locate the best vehicles on sale. Then you can move quickly to make sure you don't miss out. 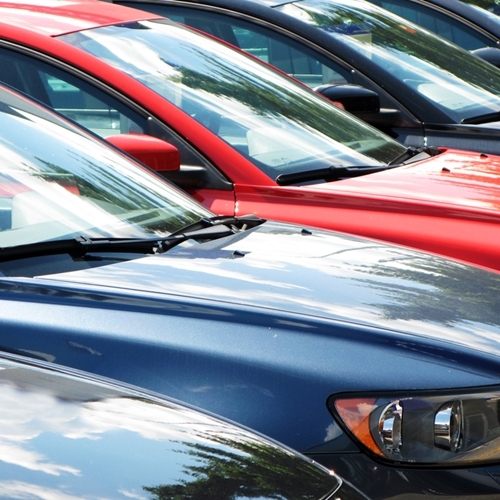 You can negotiate deals after monitoring the used car market. "Buying lightly used cars will leave cash in your wallet." Still, iSeeCars.com identified a few models you may want to pay special attention to, especially if you're concerned about depreciation. At the top of the list is the Hyundai Genesis. These models drop an average of 38.2 percent after the first year of ownership, which equals approximately $16,600 in value. Buying a model that's just 1 year old will present thousands of dollars of savings, and going further back will leave even more cash in your wallet. Another model that can give way to massive savings is the Cadillac CTS. The study showed a 36.9 percent depreciation after the first year, and with a luxury brand like Cadillac, that translates to a price difference of about $20,000. Other attractive models include the popular Chevrolet Impala, which has a price drop of 33.5 percent after year one, and the GMC Yukon XL. Posted in Auto Brands News, Chevrolet, Hyundai | Comments Off on What Are The Best Used Cars To Buy? April 15 can be a hectic day for any American. 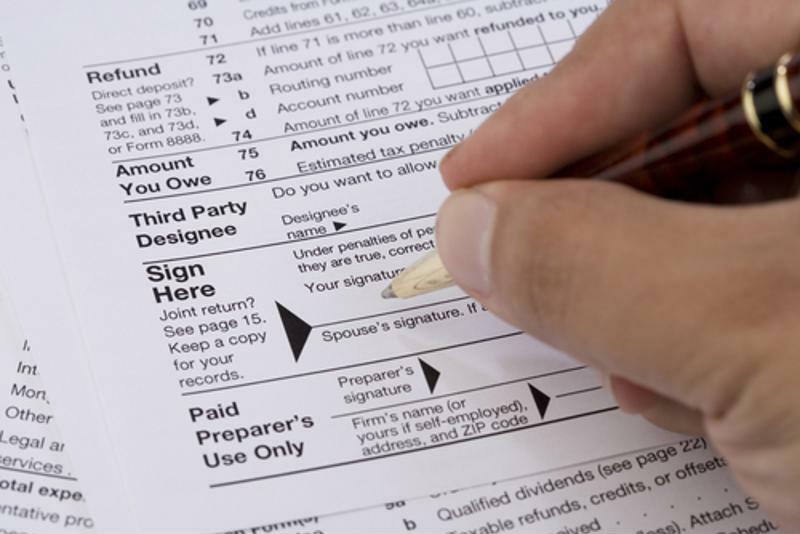 Whether you've waited until the last minute to file your taxes or only needed to double-check that you left your signature in all of the right places, Tax Day may be stressful. However, it can also be a happy day for some, as many people are expecting tax refunds in the near future. There's often some good news that comes along with filing taxes. The Internal Revenue Service reported that it refunds about $217 billion to Americans each year. That averages out to approximately $2,815 for 2015, according to Yahoo Autos, which is a considerable boost to some bank accounts. While a few people may want to save these funds, others have a laundry list of spending options, which could include vehicle-related investments. "Use your tax refund on a car." It doesn't matter if you're ready to shop for a vehicle or have already completed a purchase – the windfall can be a huge asset in your life as an owner. Here are five ways you can use your tax refund on a car. If you get a big chunk of change back from the government, it could be the ideal amount to use toward a down payment on a vehicle. 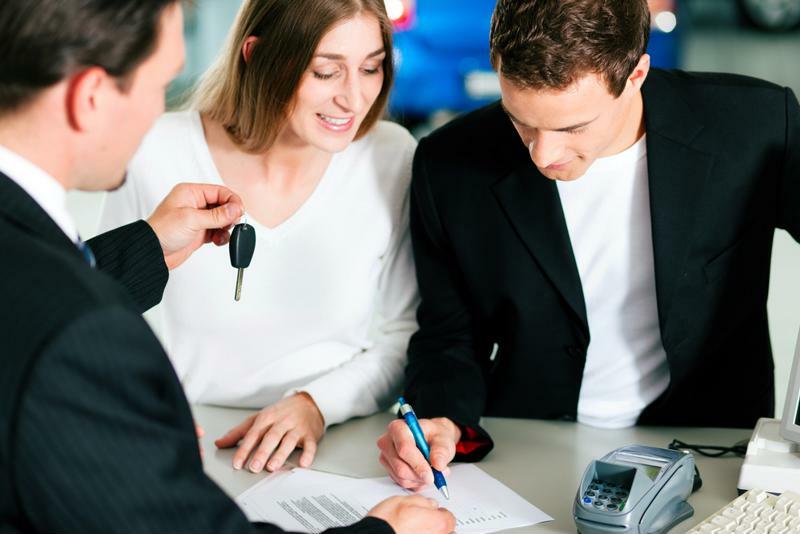 This could be a huge step toward affording the car you want, as a larger down payment reduces the amount you have to borrow and therefore decreases your monthly payments. If you manage to find great deals on used cars, your refund could even make up a large portion of the price! Maybe you've recently bought a used car at a facility like NJ State Auto. While the quality of the vehicles on the lot are impressive, they still need to be cared for to maintain their nature. Use your tax refund to pay for standard servicing and maintenance. This will make sure your used car runs like new and stays safe on the roads. "Let your tax refund help improve your credit score." Do you feel like your credit history is holding you back from getting behind the wheel of the car you want? Let your tax refund help improve your credit score. Use these funds to pay back outstanding debts that may be hurting your profile. Making significant payments or even paying off a loan in full is a great way to boost your score and show you can be a trusted borrower. If you have limited debt but still want to improve your score, your tax refund can be applied in a few different ways. 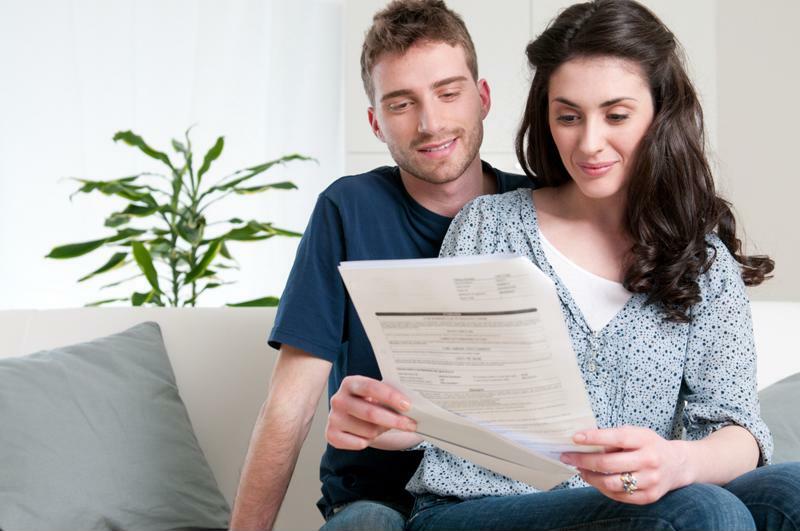 Consider reserving some of the money for your regular utility bills. These will soon be evaluated when measuring a credit score, so you'll want to ensure you aren't falling behind on payments. Having cash in your bank account also allows you to improve credit smartly with the use of credit cards. Feel free to make significant purchases using plastic, but repay the debt immediately using your refund. This will boost a credit score without putting you in a huge hole. Find ways to use your tax refund to boost your credit. Auto loans are becoming one of the most popular – and affordable – ways of procuring a car. If you've already used this financing option or are planning to, consider saving some of your refund as a cushion for payments. You can either get ahead on these loans or simply have a backup in case a nasty financial surprise pops up in another aspect of life. "Don't let financial concerns hold you back from top-quality rides." If nothing else, you'll be able to browse through the wide selection of used cars at New Jersey State Auto Auction with peace of mind. The lot is home to hundreds of Carfax-certified cars, trucks and vans, and many of these options could serve as the perfect investment for you. Don't let financial concerns hold you back from top-quality rides. You can let your tax refund help defray the impact a purchase has on your bank account without sacrificing on the roads. You may have celebrated the arrival of spring – and the impending summer travel season – with the purchase of a used car. If you haven't made the leap quite yet, the team at NJ State Auto Auction can help you find a great option for your upcoming road trips and beach commutes, ensuring you get behind the wheel of a high-quality vehicle without breaking the bank. 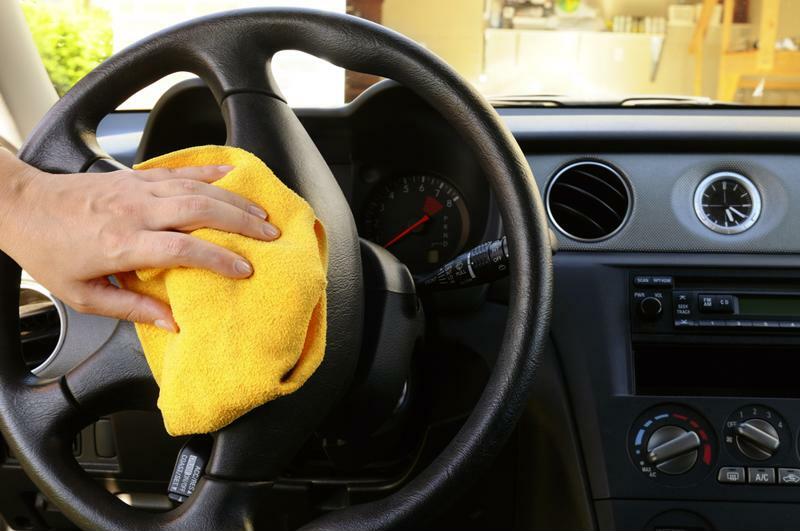 You'll still need to care for this car, and a good place to start is with a massive cleaning. 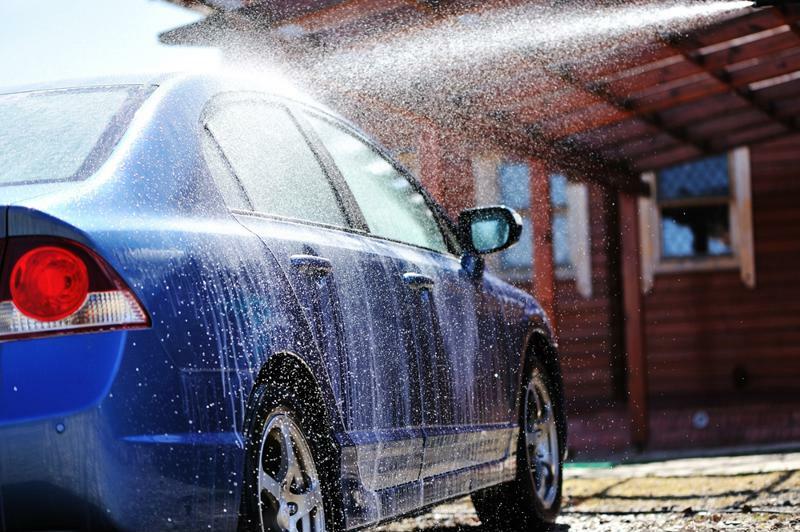 "Maintenance should start with a thorough car wash."
Maintenance should start with a thorough car wash. A hand wash is often the best option, but you need to have the right materials to make sure you're approaching the process correctly. News station WVLT suggested starting with two buckets: one with clean water and the other with soap and water, which ensures you have fresh liquid to do the final once-over. It's best to start from the top of your vehicle and work your way down. This allows you to attack the dirtiest sections last – preserving the life of your sponges – and ensure sections you've already cleaned don't become dirty again. Car Talk noted that this whole process should be completed in the shade. 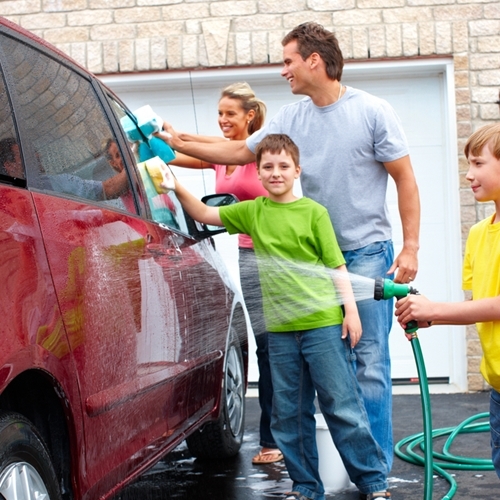 The source reported that hot cars cause the soapy mixture to dry quickly, leading to streaks and unsightly stains. High temperatures can also soften the paint and increase the odds of scratches. To avoid these problems, wait for a cool car surface and use plenty of water. Washing a car is an essential part of maintenance. Washing the car is just the beginning, as your job isn't done until you've waxed the vehicle as well. Waxing is essential for protecting the paint of the vehicle – something that is especially important if you have a used car. After you've rinsed and dried your car, use a basic exterior wax. Your surface will be guarded against rain and other debris while also looking glossy and new. A few aspects of your vehicle's engine may need some attention. If you're not sure of what to do, make sure you read your owner's manual for information on your maintenance checklist, recommended cleaners and other car-specific tips. You can also head to a servicing center for input from experts. Your manual will probably tell you to get regular tune ups. The importance of this action can't be understated, but there are a few other measures you can take to guarantee your used car is ready for spring and summer. Check the air filter first. A replacement filter will keep pollen and other pollutants away from your car, allowing you to breath easier and increase fuel efficiency. You'll need to clean off the interior of your vehicle as well. "You'll be a better, more focused driver if your car is clean." Once the exterior and the inner workings of the car are cared for, it's time to take a look around your personal driving space. Shake out and spray down floor mats, vacuum the carpets and throw out any trash that has accumulated through the winter. Then you can turn your attention to your dashboard and similar dials around the interior. Car Talk suggested using tools like a toothbrush or paint brush, which are ideal for cleaning around buttons and reaching all of the crevices found in a car. Finally, make sure your windshield and wipers are ready for spring rain and summer thunderstorms. Check the wipers to see if they need to be replaced and refill wiper fluid to ensure you're stocked for the coming months. A car wash will clean off the windows, so all you'll have to do is double-check for streaks or missed spots that could otherwise hurt your visibility. Go over these locations with a proper glass cleaner. You'll be a better, more focused driver if your car is clean and distraction-free. What Brands Do Drivers Think Are Tops? Brand names carry a lot of weight in the auto industry. People may be loyal to a certain automaker or have thoughts about models thanks to peer reviews, headline news and past experiences with a manufacturer. The bottom line is there are many factors that influence the overall image of a brand, and it's important to understand how the public views some of the major names throughout the world of used cars. Brand reputation has a major impact on what drivers buy. Kelley Blue Book recently released the results of its annual Brand Image Awards, which focus on how drivers view automakers. Evaluations were based on 12 factors covering all aspects of car ownership, including reliability, driving performance, fuel efficiency, overall styling, reputation, prestige and more. The final results reveal a few interesting impressions from around the auto industry. For the third year in a row, Honda grabbed the No. 1 spot in the Kelley Blue Book survey. That earned it the title of Best Overall Brand for the fourth time in the history of the award. Motorists had high opinions of models such as the Accord, Civic and CR-V. These vehicles also helped Honda earn the title of Best Value Brand. Kia may have won this award last year, but Honda came back to regain the crown thanks the quality of its offerings, overall performance and relatively low prices. "These awards from KBB.com demonstrate that customers continue to recognize the tremendous quality and value of our products, which are at the heart of the incredible competitive strength of the Honda brand," said Jeff Conrad, Honda division senior vice president and general manager at American Honda Motor Co., Inc. "We take this recognition from our customers as a mandate to continue building the highest quality, longest lasting vehicles on the road." ""You don't have to sacrifice performance when on a budget." Of course, Honda vehicles aren't the only top-notch choices for drivers. Kelley Blue Book also recognized Subaru as the Best Performance Brand and Most Trusted Brand among non-luxury automakers. Additionally, GMC was rated as the Most Refined Brand, while Mazda took the crown for Best Car Styling. Interested in pickups instead? Ford was the big winner in this segment, taking the title of Best Overall Truck Brand. Prospective buyers who head to NJ State Auto Auction can have their pick from a number of top brands. With a wide selection of hundreds of Carfax-certified used cars to choose from, drivers will be able to find a high-quality vehicle at an affordable price. You don't have to sacrifice performance when on a budget. 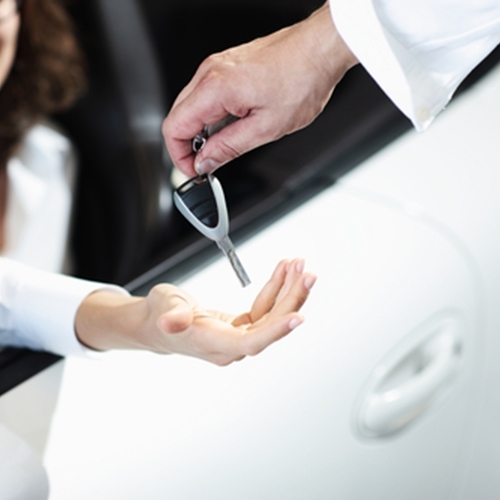 Reach out to one of the experts at NJ State Auto's financing department. These professionals can help you sort through your options, securing credit approval and finalizing manageable loans that may be needed to get you behind the wheel of the car you want. Posted in Auto Brands News | Comments Off on What Brands Do Drivers Think Are Tops? People shopping for used cars may have bigger things on their mind than the type of tires loaded on the vehicle. But these wheels can have a major impact on how satisfied you are with the ride, so it's important to take the tires into account as you're looking around. "Certain tires may be the downfall of customer satisfaction." A recent study from J.D. 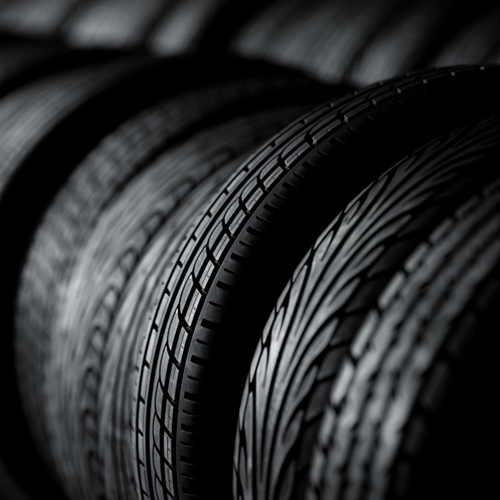 Power showed that certain tires may be the downfall of customer satisfaction. According to the report, drivers of vehicles with run-flat tires are more likely to be unhappy with the car's driving performance. These wheels are designed to keep functioning for hours after a puncture, allowing owners to get their cars to a repair shop without needing a tow. It also eliminates the need for a spare tires, which reduces the total weight of the vehicle and makes things a bit easier on shoppers. While this is nice in theory, the overall performance of cars with run-flat tires leaves much to be desired. 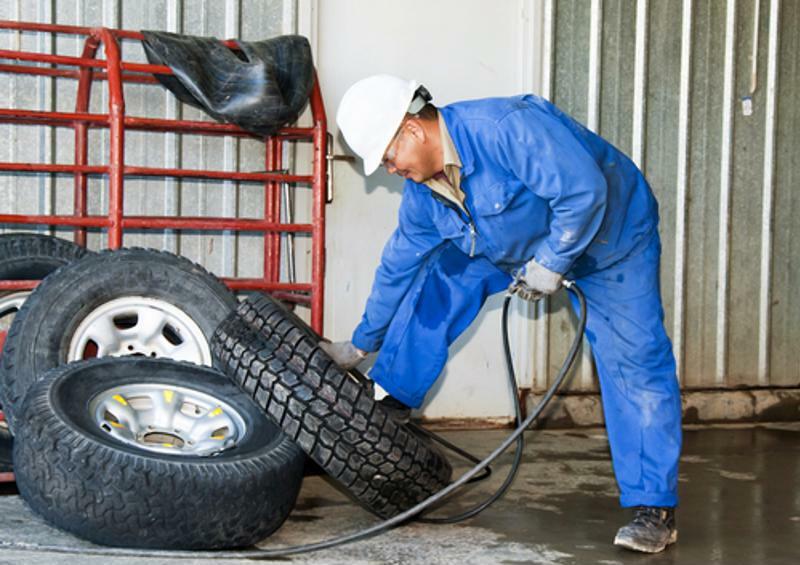 Drivers reported being underwhelmed with the ride and wear of the wheels, and they often had to replace the equipment more frequently than the traditional tires. Finding the right tires is key to driver satisfaction. "The use of run-flat tires is likely to increase as automakers continue to view them as a viable option for improving fuel efficiency by eliminating the need for a spare tire, thereby reducing the weight," said Brent Gruber, the director of the global automotive division at J.D. Power. "It's vital that auto and tire manufacturers address the ride and wear issues, which are still not meeting customer expectations. Customers expect that run-flat tires won't compromise tread life or the ability to provide a quiet and comfortable ride." "Many high-quality used cars still offer top-notch tires." There is good news for drivers: Many high-quality used cars still offer top-notch tires that put driving performance first. Run-flat tires may be the choice for many new models, but slightly older vehicles often have traditional wheels to go along with more modern technology and features. This gives drivers the best of both worlds. The next time you're browsing through the wide selection at New Jersey Auto Auction, make sure you're taking a good long look at the wheels on each model. A thorough test drive can reveal a lot about each option, but it doesn't hurt to ask questions or research peer reviews as well. It's a fact of life: Cars are expensive. So are houses, higher education, furniture, electronics – the list goes on. With so many expenses to consider day in and day out, it's easy to see how many people wind up with debt that eventually hurts their credit score. Even if you manage to pay off most of the borrowed money, a missed payment or major purchase can have a significant impact on your credit. That influences how you're set up for the future and could even play role in deciding what type of car you wind up driving for the next several years. Your credit score shouldn't inhibit you from buying a car. Are you underwhelmed by your credit score? Here are five tips that could help you boost this number without giving up your dream car. The first thing you should be doing is looking for ways to improve your credit score. However, this process takes time, and it's a long-term commitment that may require some flexibility as life's little surprises pop up. Do some digging into secured credit cards or similar reputable options that are designed to build credit while keeping you on a budget. You'll be able to form positive habits, such as paying off your balance and keeping track of spending, without diving into more debt. This plan should also take into account any larger purchases you may need to make in the near future. Try to save up some money for a bigger down payment on something like a used car. "Pay all bills for a small boost to your credit." It may sound simple or self-explanatory, but making a concentrated effort to pay all of your bills on time can go a long way toward improving your credit history. 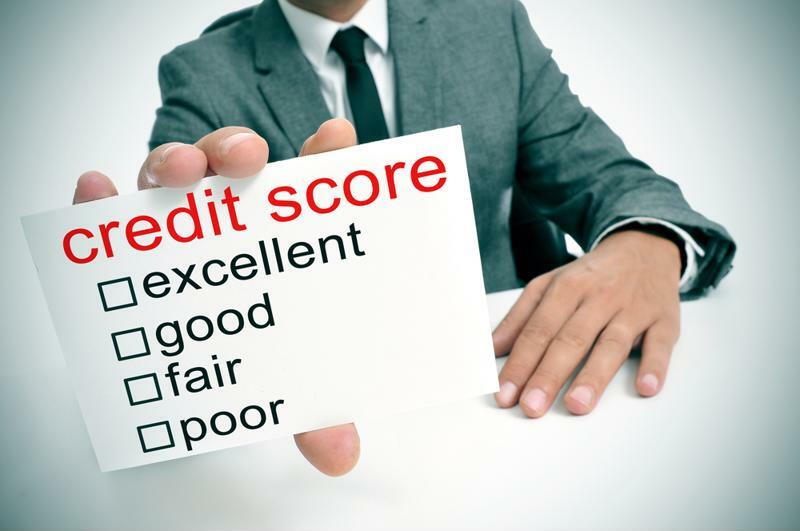 The Huffington Post reported that FICO plans to incorporate utility bills into credit scores. That's good news for people who pay these bills on time but may not have or want access to credit cards. Whether it's gas, electric, telecommunication or some other service, make sure you're meeting these deadlines for a small boost to your reputation. Just because you have a subprime credit score doesn't mean a manageable loan is out of reach. 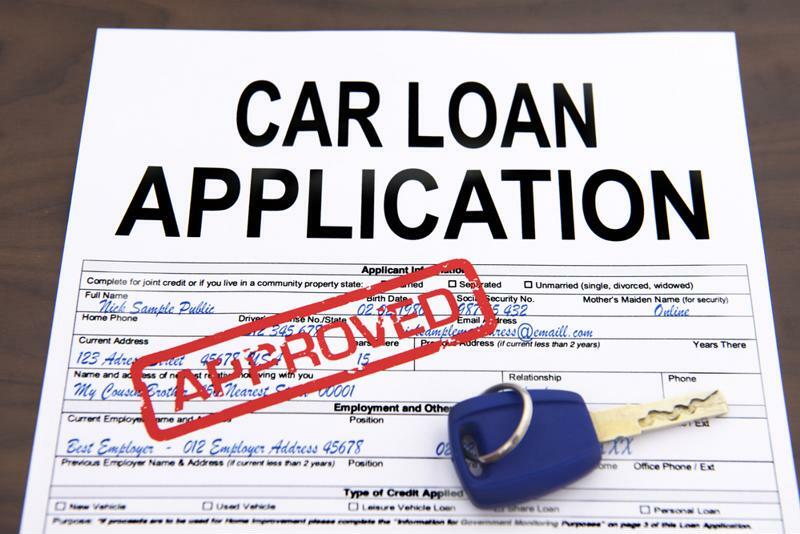 There are facilities that can secure you credit approval and get you situated with a used car loan. At New Jersey State Auto Auction, the on-site financing department guarantees approval for prospective buyers. The team of experts is also well-equipped to answer your questions, assist with complicated paperwork and cut through the red tape that is typically associated with loans. Car loans are available to a wide range of drivers. "It's important to stay focused on the bottom line." Costs can quickly grow once you take interest rates, car repairs and maintenance into account. That's why it's important to stay focused on the bottom line. Longer loans may lead to smaller monthly payments, for example, but you could find you're paying much more in interest. You'll have to decide what the best course of action is for you and your unique situation, but do the legwork to stay informed and make educated decisions. If you've decided to invest in a used car and have a general idea of how you want to finance the vehicle, it's time to make sure you have everything you need to make this a reality. Gather together personal references, proof of address and insurance, identification materials and recent credit reports. Many of these materials are required by the facility you're working with, while others may just be good to have in case you need to make yourself a better loan candidate. Simply collecting these documents could be helpful, however. Consider your credit report: By obtaining a free copy of this official report and looking over the details, you'll be in a good position to find errors, clarify those mistakes and create an effective plan for the future. Drivers have their own way of shopping for used cars. Maybe they start by browsing websites looking for great deals or researching to fully understand the ins and outs of auto loans. Some motorists go into the process with a clear idea of which make and model they want to invest in, while others may base the decision solely on price. "Knowledge makes a big difference when buying a car." Regardless of what guides you, there's a good chance you're unhappy with the overall car buying process. Autotrader recently found that most prospective buyers would like to change a lot of aspects of shopping for and financing a vehicle. Knowing some of these key areas, as well as hunting for the right used car lot, can make a big difference when it's time to buy. 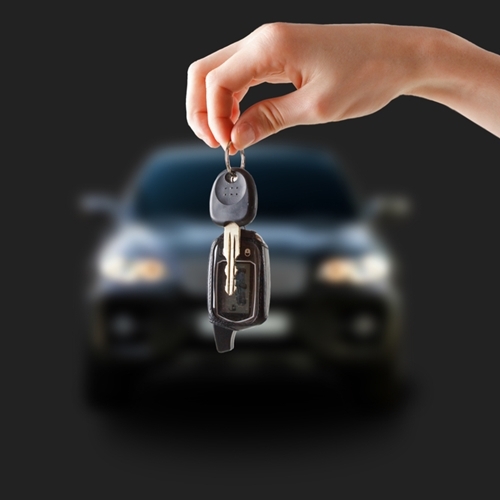 The car buying experience will be different for everyone, but shoppers who use facilities like New Jersey State Auto Auction may find that certain parts of the process are made easy with the help of the site's resources. On the website, for instance, customers can browse through all sorts of used cars based on make, price, owner history and more. This is only the beginning, however, as they can then seamlessly start the financing process and register to bid for a car. Speed is a priority for these car shoppers. 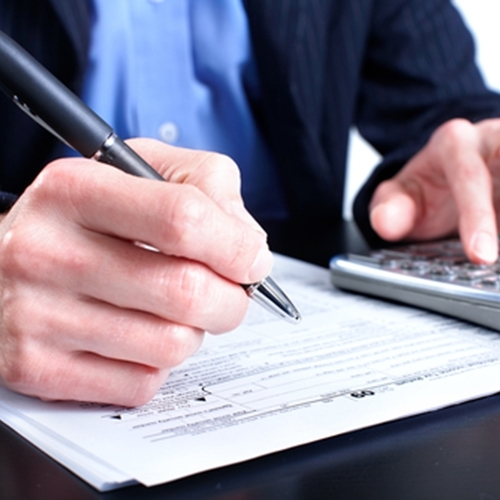 Finalizing financing is just one part of the car buying process. Unfortunately, not all car lots are as dedicated to the customer experience as NJ State Auto. Autotrader's latest report, titled the Car Buyer of the Future Study, found that many dealerships have a long way to go when it comes to catering to shopper preferences. Customers want improvements on everything from test drives to how they interact with salespeople, and finding a car lot that meets their needs could encourage them to buy. "While there is good work going on right now to adapt decades-old sales processes, consumers are telling us that we as an industry are not moving fast enough," said Jared Rowe, president of Autotrader. "By recognizing – and embracing – the need for change, we have a tremendous opportunity to surprise and delight our consumers." One of the areas in need of major changes is vehicle financing. According to the Autotrader study, the vast majority of drivers want to have the option of completing credit applications and other financial forms online on their own time. This allows them to spend less time at a dealership and devote more energy to researching areas of financing they may not know about. "Drivers don't always jump at the lowest price." Contrary to popular belief, drivers don't always jump at the lowest price. The report noted that more than half of respondents said they would pay a little more at a dealership with a good overall shopping experience. Additionally, most people don't mind negotiating the details of a financing deal. About 56 percent said they prefer negotiating or bidding to ensure they're getting a fair price. Luckily, NJ State Auto Auction can satisfy many of these demands. The car lot allows you to start all processes online, making it easy to complete paperwork and figure out deals on your own terms. A well-oiled auction system makes bidding on vehicles a breeze, but if that takes too much time, shoppers can choose to meet an asking price and drive off the lot on the same day. New York traffic has a reputation for being the stuff of nightmares. Road rage, reckless drivers, countless roadblocks, slow-moving tourists – you name it, the region deals with it on a daily basis. As it turns out, this reputation may be well-earned. 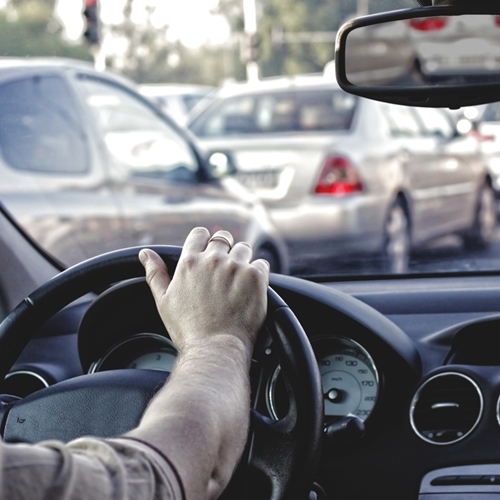 Several new studies have shed light on the extremes of traffic in the New York area, and some of the truths may be tough for regular drivers to stomach. "The Big Apple is the fourth-most congested city in the U.S."
TomTom recently released its fifth annual Traffic Index, and the results confirm what we already know: New York traffic is bad. According to the report, the Big Apple is the fourth-most congested city in the U.S., ranking only behind Los Angeles, San Francisco and Honolulu. And the area's congestion is only getting worse. 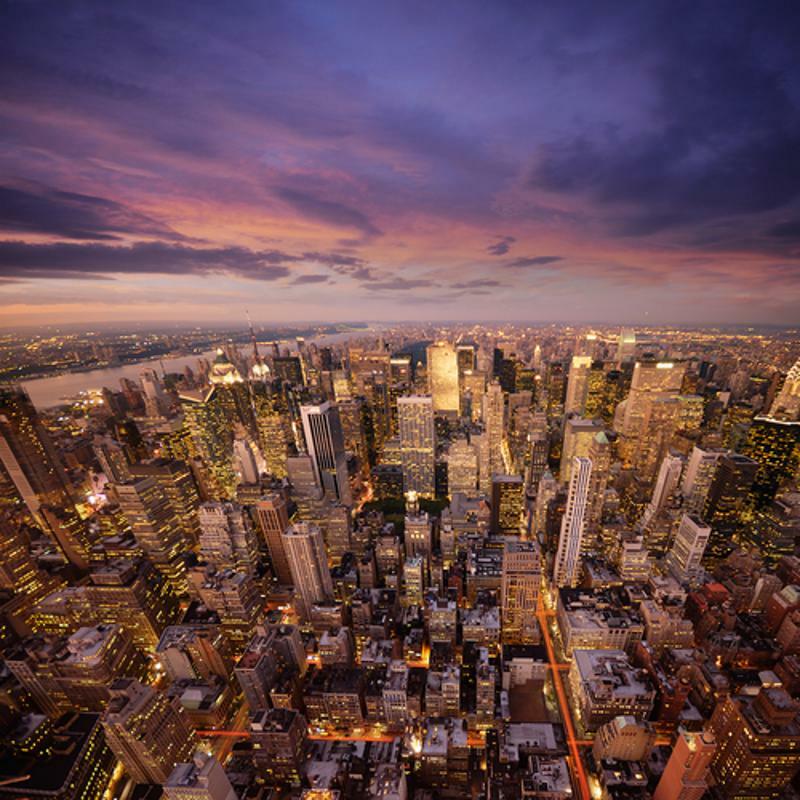 New York saw its traffic increase in the past year, pushing it from sixth to fourth on TomTom's list. All of this traffic only adds to the work week for most regional drivers. The study noted that the average rush hour congestion increases a commute by about 46 percent compared to times when there's no traffic. However, New Yorkers may have it a bit worse, as their commutes add up to extend the work week. NYC Comptroller Scott Stringer released a report stating that the typical commute for a worker in the city averages six hours and 18 minutes per week. That's the highest in the nation, according to the New York Post, and it gives people a total work week of about 49.1 hours. New York traffic is some of the worst in the nation. Just because your commute is counted as part of your work day doesn't mean it can't be enjoyable. All you need is the right environment. That starts with riding in a car you like – and one that can handle the stress of your commute. Your vehicle should be comfortable and efficient on the roads in any type of traffic, and that kind of service shouldn't be costly. You can find just the right ride at NJ State Auto Auction. Our lot is home to hundreds of Carfax-certified cars, trucks and vans that are available at competitive prices. As if that's not enough, the in-house financing team is ready and able to secure credit approval and get you a loan that works. You'll get behind the wheel quickly and painlessly, all the while ensuring your used car is one that will meet all your needs on the way to work. Every driver is different. Each one will have a distinct driving style on the road, in addition to specific ways of finding the right car in a sea of options. But many of these motorists learned from someone, and in most cases it was their parents. Even so, most young people believe they're better drivers and buyers than their parents, at least according to a recent survey from Edmunds.com. While the report found that 73 percent of car buyers ages 18 to 34 thought they were better than their parents, it also took note of a few other trends present among these young drivers. Millennials are increasingly becoming more informed, especially as they start looking for cars to invest in, and as a result, they are quickly becoming major players in the auto industry. If there's one thing millennials can agree on, it's that value matters. That's why many of them are drawn to used cars. According to the Edmunds.com study, used cars make up about 78 percent of millennials' purchases. These drivers have done their research, and that knowledge allows them to see that they can find many of the features they're looking for at affordable prices. They just have to be willing to scope out used options. "Millennials today are informed car buyers," said Avi Steinlauf, CEO for Edmunds.com. "They're making the most out of the volume of information available at their fingertips, and it's helping them to make a smarter car purchase. And since a smart car buyer is a quality car buyer, it all points to an optimistic and healthy future for the auto industry." Not everyone may be convinced that millennials are the next big car-buying segment. The Washington Post reported that many members of this age group are flocking to cities, where they often take advantage of public transportation to commute to work. They're also frequently saddled with student loans, which inhibits their ability to afford major purchases like a new car. But a value-driven used car is a good compromise. In many instances, these vehicles can be found at low sticker prices. Even if an auto loan is needed, it can be negotiated to manageable monthly payments, allowing a young driver to incorporate the financing into an already tight budget. Millennials are still going to embrace some new strategies as they hunt for the perfect used car. The Edmunds.com study noted that millennials are more likely to use technology to locate dealerships, compare prices and search for matches to their needs. They aren't afraid to do research to make sure they're getting the best possible deal, even if it means investing in a used car. 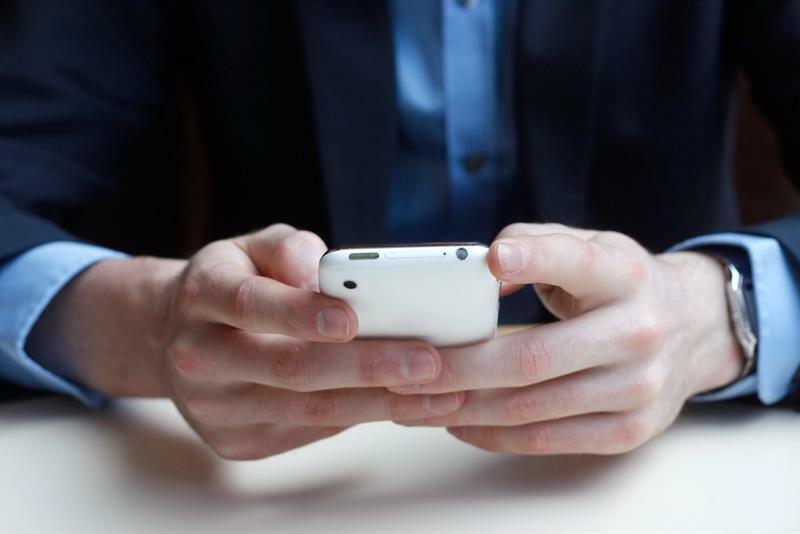 Young people are using cellphones as a way of finding used cars. Any driver – regardless of age – can find what they're looking for in their next car at New Jersey Auto Auction. The lot contains hundreds of Carfax-certified used cars, trucks and vans, any one of which may meet your needs. You'll be able to find a vehicle you love at a price you can afford – all without sacrificing the value and features you're looking for.